Vaibhav Shah is the CEO and founder of Techuz. With an experience of more than 8 years in software development and entrepreneurship, he along with his professional team are helping startups and established businesses to achieve their goals. 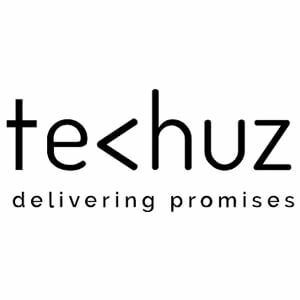 Techuz is a full-service software development company located in the USA, India and Singapore, focused on developing web and mobile solutions for startups and enterprises. Since its inception, it has been the torchbearer of innovations in the industry – whether it be adopting the latest web technologies such as Angular, Node and React or using the latest development tools. From the business point of view, Techuz believes in delivering the best services, experience and promises. That’s why we have been recognized as a trusted technology partner by several startups and enterprises. Since 2013, we have been growing at a profound rate and last year was no exception. Just to spotlight our achievements in 2018 – we have successfully delivered 21 projects and grown our team by 55%. But the best part was when 2 of our clients were selected by eminent accelerator programs that have provided them exponential growth for their startups. This is the most ecstatic feeling when your work adds value to your client’s dreams. And as they say, hard work never goes unnoticed – Techuz has been honored and recognized as one of the top 200 global IT company in 2018 and has achieved a forerunner position in the top 1000 IT firms of all time by renowned review platform. Initially, when clients reach out to us they look for a quick rough quote for their project. So, our sales team and BDA prepares an excel sheet containing detailed ballpark estimates. Once we get the client’s approval we prepare the project SOW and then it goes to the development part. As per the nature and scope of the project, we select the right development methodology. Generally, we follow two types of methodologies – Agile and Waterfall. Agile being the most common for evolutionary development and waterfall for fixed project scope. Whichever case it may be our designers, developers, Project Manager and QAs stays in a constant loop with the client for any feedback and updates. We offer Time and Material, Developers for Hire and Fixed Price model. All the three models work great under different scenarios. If the client is looking for incremental development where there are major changes in the project scope, Time and Material is what we recommend. We also provide our developers for hire for business who needs a team for their project. Moreover, the fixed price model works best for those clients who have a fixed scope of the project. In our industry vertical expansion is necessary for growth while on horizontal growth is essential to keep a grip over your forte. If the market demands new technology or a trend – whether entirely new or within the purview of our expertise we have to expand accordingly. Both vertical and horizontal expansion must go hand in hand. Our outlook for 2019 is maintaining the peak in client satisfaction and quality of services. In fact, even surpass it. We are also looking forward to strengthening our team by 60-65% as this year we are growing our services into new markets. Techuz ‘s center of interest will remain the same – web and mobile application development for startups and enterprise; however, we are also diving deep into new technologies such as blockchain. Our developers are already getting their hands dirty in it. Talking about preparing the workforce for new technology trends, I feel a solid clarity of its concepts and an ample time for experimentation can update them with necessary skills required. Initially, when we want to adopt new technology, we start by providing our team leaders by providing them with resources such as online courses. Once they have got a good grip over its theory and working, we encourage them to develop POC and upload it on GitHub. This helps us to evaluate our skills for the new technology and once we feel our developers are ready, we pitch it to the clients. Node is getting pretty big these days. It is the common name in the house, even React has established a vast ecosystem. Both of these technologies have come up as a solution for modern apps. Technologies are ought to evolve as per the changing needs and you must be prepared for it. However, for the near future, I don’t see any danger for native app development as many of the business cases still rely on native technologies. Finding new clients in a service based industry can be a pretty daunting task. Something that would really help you to succeed as an app development company is focusing on client retention. ITFirms and similar research agencies are making it easier for clients to meet the best service providers. They are not only working as a bridge between the two parties but also as a sieve to refine the top service providers in the unfathomable clutter. With the transparency in reviews and ratings, the clients get a clear picture of who would be the perfect fit for their project.